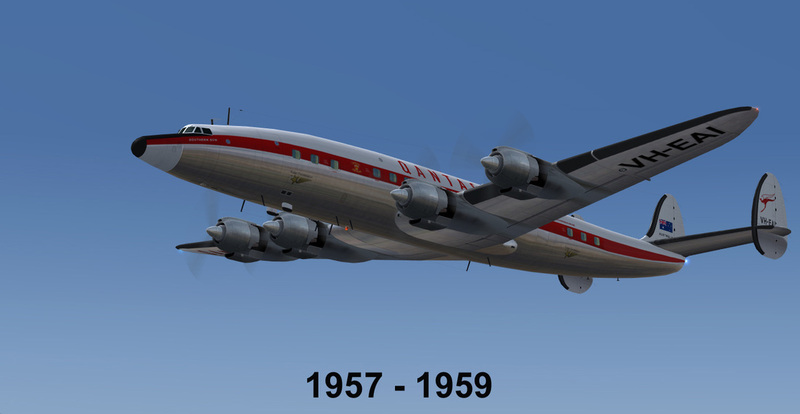 Re-make of my 2009 repaint. 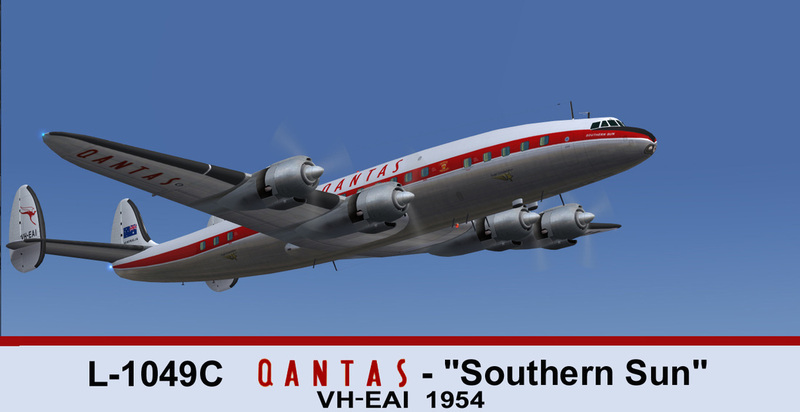 CN#4546 was built in 1954 as a L-1049C and delivered on 5-22-1954 to Qantas Empire Airways as VH-EAI "Southern Melody" and re-named "Southern Sun", upgraded to a L-1049E in 1956 and added weather radar in 1957 and left the fleet in 1959. To Lockheed Aircraft Corp. during december of 1959 as N9717C, leased by Qantas November 1960 "Southern Boomerang", leased December 1960 to March 1961 to Tasman Empire Airways (TEAL), to 20th Century Airlines April 1961 as N9717C, leased May 1962 to October 1964 by Trans International Airlines, to LANSA as OB-R-742 but not taken up, bought by California Airmotive October 1964 and broken up in 1971.